DAY 1:- Arrival in Rome Airports and transfering to the Hotel in Rome. After the meet and greet in the lobby of the hotel, you will make your way to the historical center to begin your tour of the Eternal City. 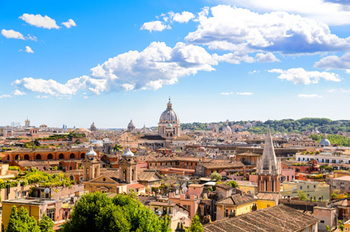 Highlightsof the tour: Piazza Venezia (Palazzo Venezia, Vittoriano), Roman Forums, the Coliseum, the Circus Maximus, Avatine Hill, Palatine Hill, Teatro Marcello, Pantheon, Piazza Navona, Trevi Fountain, Spanish steps and lastly the Vatican Museum, Sistine Chapel, the St. Peters Basilica and the St. Peters Square. After the meet and greet in the lobby of the hotel, you will make your way to the region Campania, where you will spend your day in sightseeing, exploring the ancient city of Pompeii. You will stop for the lunch before arriving in the picturesque coastal Town Positano where you will spend your afternoon before returning to Rome in the late afternoon. After the meet and greet in the lobby of the hotel, you will make your way through the countryside of Tuscany to the medieval city of Siena where you will spend the duration of your morning. In the afternoon you will make your way into Italy's most sought after wine region; Chianti before arriving to Florence in the afternoon. 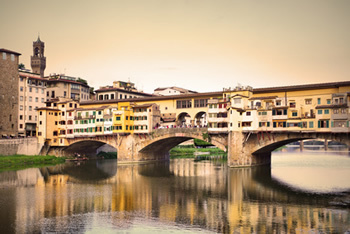 After the meet and greet in the lobby of the hotel, you will explore the Church of Santa Croce, the Duomo and the Accademia, which houses Michelangelo's famous sculpture of David. the Ponte Vecchio and the Piazza of Michelangelo prior to lunch. Moving on along the scenic route the Tuscan countryside you will make your way to the small city of Pisa. Here you will spend a portion of your afternoon at the Leaning Tower and the main square before heading back to Florence. After the meet and greet in the the hotel in Florence, You will be picked up from your hotel in Florence, you will make your way through the Umbrian countryside to the town of Orvieto. Where you can explore the Etruscan town of Orvieto, renowned for its vast countryside, olive groves, and wineries. Here you will spend a portion of your day before heading back to Rome. DAY 7:- Departure. Goodbye to the Eternal city and transfer to the Rome airport from the hotel. Duration of this Tour: 7 Days. We also recommend to pre-purchase your Coliseum tickets online (if you wish to enter) and the tickets to the Vatican Museum for the same reason. Make this reservation between 9.30-10 AM if you plan on visiting inside Coliseum and 2.00pm for the Vatican. Note that hotels, meals, gratuities nor entrance fees are not included in the rates. Our rates include meals, hotels for the driver during the trips, private tour guides to Vatican Museum, Pompeii and Florence.